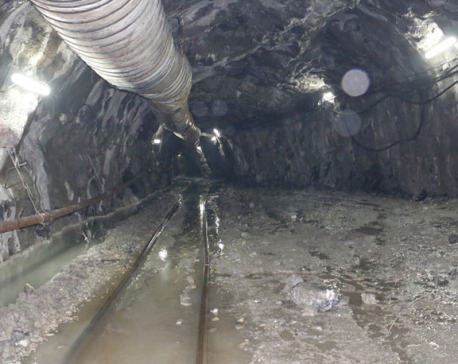 KATHMANDU, June 26: The government has said that Melamchi water will reach Kathmandu by the end of September. Minister for Water Supply Bina Magar has assured that the water will reach Sundarijal for treatment before being supplying to each household. The minister’s pledge comes following a fresh agreement reached with a high-level team from the Italian contractor Co-operativa Muratori e Cementisti di Revennna (CMC) on Friday. The contractor had halted work demanding compensation payment of Rs 1.65 billion for delays due to the 2015 earthquake and the Indian blockade. It also sought a time extension of 570 days, and pledged to expedite the work immediately, following two months of dillydallying. It has also agreed to complete the work by the next three months. The work had slowed following a tunnel breakthrough in April. Top officials of the contractor firm, who came from Italy, and also officials of the Asian Development Bank and the Ministry of Water Supply held discussions in Kathmandu on Thursday and Friday and took a decision to resolve matters. The issue of paying compensation, among others, is under consideration at the project’s Dispute Resolution Board (DAB). The time extension by three months is however only effective until such time as DAB comes up with a decision about allowing more time for completion of the project which has already missed several past deadlines. 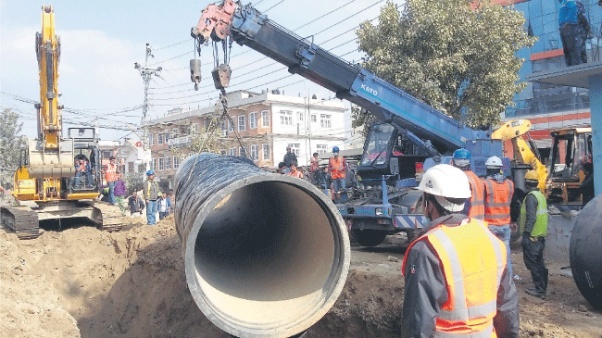 Speaking at a press meet on Monday, Minister Magar said the contractor has pledged to address its cash flow problem and pay local sub-contractors, vendors and suppliers directly from the Melamchi Water Supply Project office. In another decision, the contractor has agreed to come up with a new work plan and report progress to the government every day. 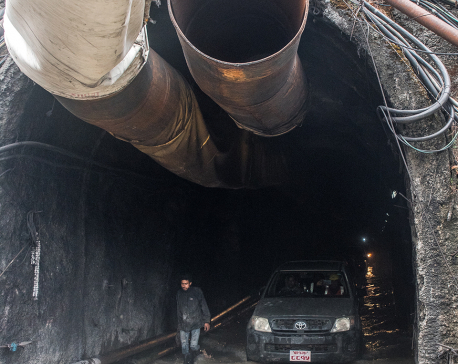 Despite these claims, there are lots of tasks to be completed including concrete work on about 19 km out of the 27 km tunnel and building a temporary dam to divert the water of Melamchi. Minister for Water Supply Bina Magar has also expressed concern over the decisions of the DAB on various matters including counting time extensions. Magar said DAB announced a deadline extension effective from June 23, 2018 although her ministry corroborated that the effective date for extension begins from June 14. She also warned that the ministry will move the courts if the DAB does not abide by the ministry’s correspondence. The DAB has already given a deadline extension of 212 days.